Frequent consumption of sugary soft beverages can lead to pancreatic cancer, according to certain research data. As little as two soft drinks a week can almost double the chances of developing one of the most deadly forms of cancer, a study found. Since pancreatic cancer is relatively rare - affecting around 7,600 people each year in the UK - the absolute risk from soft drinks is small. However those diagnosed with the disease have a poor prognosis. Only 2% to 3% of patients in the UK survive as long as five years. Researchers based their findings on more than 60,500 participants recruited for a large-scale health study in Singapore. Over the course of 14 years, 140 of the volunteers were diagnosed with pancreatic cancer. People who consumed two or more soft drinks a week - averaging five in total - had an 87% increased risk of developing the disease compared with those who did not. In general the "soft drinks" concerned were of the fizzy sugar-sweetened variety. 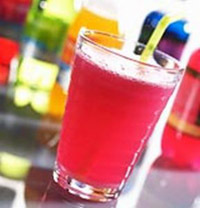 No association was seen between the consumption of fruit juice and pancreatic cancer. Study leader Dr Mark Pereira, from the School of Public Health at the University of Minnesota in the US, said: "The high levels of sugar in soft drinks may be increasing the level of insulin in the body, which we think contributes to pancreatic cancer cell growth". The research has been published in the journal Cancer, Epidemiology, Biomarkers & Prevent.